A Drexel University professor and self-styled troublemaker has again awakened the ire of American conservatives, this time for claiming "Trumpism" and "white supremacist patriarchy" are to blame for last Sunday's deadly massacre at a country music festival in Las Vegas. George Ciccariello-Maher, a professor of politics and global studies, took to Twitter on Monday with a sequence of critical statements about the violent motive driving 64-year-old gunman Stephen Paddock, who took his own life after killing 59 concertgoers and injuring hundreds more from the window of his high-rise hotel room. It's the white supremacist patriarchy, stupid. In a string of follow-up tweets, Ciccariello-Maher elaborated. This isn't the first time Ciccariello-Maher has attacked the notion of "white victimization" as a dangerous force in American politics and culture. In a December 2016 tweet he claimed was satirical, Ciccariello-Maher said that all he wanted for Christmas that year was "White Genocide," an "imaginary concept" he believes the far-right has hatched to marshal urgency for a racist agenda. At the time of the incident, Drexel called the tweet "utterly reprehensible" and "deeply disturbing" while defending the right of faculty to freely express their thoughts and opinions. Right-wing websites, including Breitbart and The Daily Caller, pounced on Ciccariello-Maher, who fired back in equal measure. A few months later, Ciccariello-Maher generated yet another "2-controversy day" with an incendiary tweet about U.S. military servicemen. The self-described radical political theorist, who previously taught at the University of California-Berkeley and the Venezuelan School of Planning in Caracas, elaborated on the tweet in a statement underscoring the consequences of the U.S. military's "brutal invasion and occupation" of Iraq. 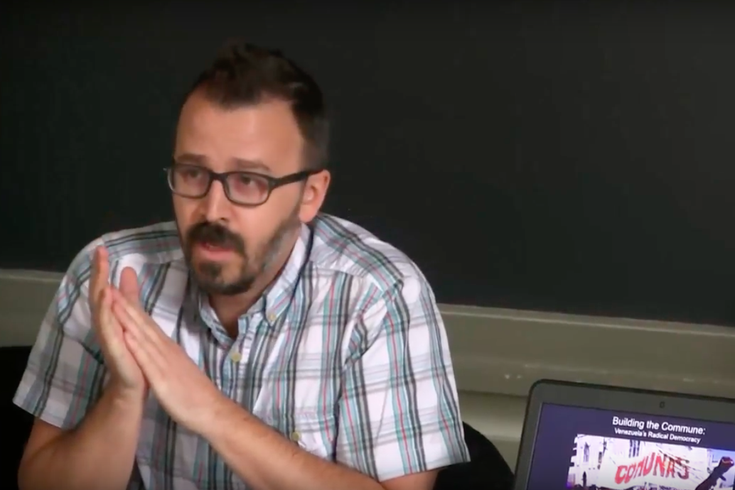 In the days since Ciccariello-Maher's latest tweets, the professor has been busy batting down critics, including the conservative student publication Turning Point News, which wrote a reaction piece headlined, "Drexel University Doesn't Care About White People."